When Open Adoption Bloggers started a few months ago, I noticed a bit of a theme running through a lot of the emails people were sending me. Blogger after blogger told me she'd love to write more about open adoption, but just didn't know where to start. So I started tossing around the idea of offering up a semi-regular open adoption-related writing prompt. I love the thought of a bunch of us occasionally writing around the same topic or question, each of us veering off into our own personal take. A showcase of the diversity of thought and experience in the open adoption community. I threw out the idea to the other writers on the list, thinking I'd find a handful of people who were up for it (or maybe just an awkward silence). But instead there was a huge wave of people saying, "Yes, let's try it!" 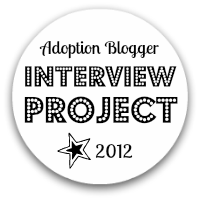 So welcome to the inaugural Open Adoption Bloggers Roundtable! To kick things off, we're taking it personal, with a post to yourself. We each had a starting point in open adoption, a point in which openness entered our lives and our lexicon. For some, it was definite--you knew you wanted an open adoption before you ever picked up the phone to call an agency. Others fell into it as your relationship with your child's other family grew into something far different than what you had planned. Maybe you never even considered open adoption until a counselor brought it up. Perhaps you resisted the idea in the beginning. Your first assignment is to think back to who you were when open adoption first entered into your life. As with so many things in life, thinking about open adoption without having experienced it and actually living it out are two very different things. What do you know now that you wish you knew then? Has the reality of open adoption as it's looked in your life matched your expectations? What one thing about open adoption would you tell your past self, if you could? (If you're still in the beginning stages of your adoption journey, flip the question around: What one thing do you wish you could ask your future self about open adoption?) Be as creative or straightforward as you wish. 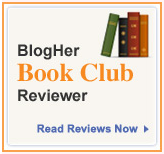 I'll create a list of links to your blogs here at the bottom of this post as they're added. Remember, the point is to listen to and learn from each other, so write, visit other people's posts and be sure to comment! M de P from Reservado Para Futura Mama realizes that openness doesn't always look like what you hoped for--and that that can be okay. Thorn at Mother Issues looks at open adoption from her unique perspective, as she navigates relationships with the biological family of her partner (who was adopted as a child) and prepares to adopt from the foster care system herself. Spyderkl at Evil Mommy lays out all the things she wishes someone had said to her. I love this line, "As long as you’re a parent, there is a choice you’ll have to make between love and fear." Tammy at You Just Never Know Where Hope Might Take Ya remembers her journey from rejection of open adoption to wholehearted acceptance, and reflects on what she has learned from again needing to adjust her hopes to reality. Dawn of This Woman's Work tells herself that while parenting in open adoption may be different in many ways, it isn't something to fear. Valerie at From Another Mother reflects on the key role trust played as she prepared to place her son in an open adoption. Anonymous talks about the realities of raising children who are not genetically related to you. Tracey at Grace Comes By Hearing tells herself things aren't as black and white as she thinks they are--nor as scary. Ginger at Puzzle Pieces gently reminds herself not to lose sight of her own needs as she deals with the aftermath of placing her daughter. Openness may be for the benefit of the child, but the adults need tending to as well. Jane of Jane's Calamity, who grew up in an open adoption, writes about the new perspective she gained when she entered into an open adoption with her own child's adoptive parents. Karen of Clio declares that open adoption is a state of mind--it won't threaten your parenthood unless you let it. Jenna at The Chronicles of Munchkin Land searches for the one piece of advice that would have made a difference as she considered placing her daughter. Jeannette looks back and wishes she had better understood how much she had to offer her daughter in those early years. Ashley of More Than Dog Children realizes none of the worries she had about open adoption were necessary. Andy at Today's the Day! looks back with the wisdom of hindsight and wonders if there was more she could have done to keep her son's first mom in contact. Thanksgivingmom at I Should Really Be Working writes two moving letters, one to her past self on the cusp of entering into the unknown of open adoption and another to her future self wondering what path her relationship with her placed daughter took. Deb of Waiting on Life speaks honestly about the interplay of emotions and decisions as they figure out the parameters of a semi-open adoption. Jessica of Here's to Hope honors the power of personal stories in preparing ourselves for openness. D at The Mommy Journals reflects on how the very things you once resisted can become surprisingly normal. Jess at The Problem With Hope celebrates how adoption has expanded her family in ways she never guessed it would. "What started out a relationship I thought I was obligated as a parent to keep has become an extended family....and I wouldn't have it any other way." Debbie B at Always and Forever Family comments on both the importance of communication and of not giving in to fear. "When you see your child smile upon seeing her birthmother any fears you might have still had will melt away." Andi-bo-bandi of Our Adoption Adventure wrestles with the reality that the openness she so readily embraced may not always be matched by her son's first family. SocialWkr24/7 of Eyes Opened Wider uses the moving story of one multi-branched family to show the potential benefits of openness in adoptions from foster care. Rebeccah at Chasing a Child thinks about the circumstances of her son's placement, speculating on what the concept of openness may have looked like from his first mom's perspective. Lavender Luz of Weebles Webblog remembers back to when she learned that everything she thought she knew about adoption was wrong. Leigh at Sturdy Yet Fragile shares the reasons she chose a semi-open adoption when she placed her daughter and why she wishes she had thought more about the future. KatjaMichelle of Therapy Is Expensive at first struggles with just what she would say to her 17-year old self, then arrives at this realization: "I would remind myself that the child I was carrying was not only my son, he is also my parent’s grandson, my sister’s nephew, my future neices’ cousin, and my future children’s brother." Bethany at Our Adoption Journey honestly faces the fears she has about open adoption as she and her husband wait to adopt. Kathleen, Kat, Kate, or Katie...depending on when we knew each other stumbles into openness and discovers it's not what she feared--and maybe even influences a pro-closed adoption agency for the better. Brown at Coming Clean: Confessions of a Secret Birthmom wishes she could tell herself to push through the hard times for the promise of the freedom she might have had with her daughter. Britney at Beauty from Ashes wishes she knew how much placing her son would affect the people she loves the most and how pre-adoption contact might have helped them. Erin of Seeking God Knows What finds freedom as she embraces the fluctuations in her family's open adoption. I just wrote my contribution, though my connection to open adoption isn't a typical one. you're so brilliant---thanks for doing this...now lets see if I follow through! @M de P - Wow, you are FAST! I'm impressed--it takes me forever to write anything. @D - It's good to see you again! @Thorn - I'm really glad you posted. Your connection to OA may not be typical, as you say, but your perspective is really useful to me. Wow - you are reading my mind! It's only been a week or so since we committed to our adoption facilitator. I already have a blog, but am having a hard time blogging about Open Adoption - I guess I need to give it more time. I DID however add an "Adoption Journey" ap to my blog - BABY STEPS I guess! I thought I better do it today since it's a crazy week at our house. Can't wait to read other people's entries! sorry for the double comment! this is SO awesome! i am lamenting that just when i have interesting thoughts and experiences to share vis-a-vis open adoption (4 plus years and 2 kids into it) I have no time and still too much sleep deprivation from the baby. Am hoping this will change but meanwhile am so glad you're getting this going! Thanks again! I'd be happy to answer any questions this post raises...its more story-telling than question-answering, but I think people can get an idea of how I felt about open adoption THEN, and how I feel about it NOW. My kids are almost 15 and 11. If I could go back in time, I would ask myself to really take to heart that my kids are born with personalities, likes, dislikes, strengths, etc. that are hard-wired in them. All the parenting in the world will not be able to influence or change so many things. I told myself this in the early days, but I don't think I really understood that my role was to provide love & support and moral & ethical guidance. I would also ask my younger self to really consider what it will be like for my children to be raised not having anyone around that looks like them, talks like them, thinks like them...really consider what that feels like. Understand that it will be a loss for them. I would ask my younger self to understand that connecting to birth families is not a linear relationship. The relationship will ebb and flow depending on my kids, but the connection is precious to them. It is up to me to keep communication open for their sake. I still believe open adoption is the best situation for my children and their birth families, but it's not always easy. I did it. I love to have writing prompts. Thanks for getting this together! So glad to get the roundtable up and running! Woot! I'm excited to go back and read what everyone else said! I wrote mine! I'm still so new in the process, so I make no claims to knowing it all. Can't wait to read some of the others listed. Thanks for doing this. How do I make my link "live" like Debbie did, btw? Help! I am not "personally" involved with Open Adoption - but work with children in foster care and would just like to add my 2 cents! I love this idea. I can't wait to read more. I am about to have my baby in a week. I will be placeing him for adoption and it is completely open. My blog is pretty much entirely about that....I also throw some stuff in about my four children that I am parenting. Its nice to find other people that are going through the same experiences. Thanks for creating this opportunity! I've only just found your blog today and it just so happens that a slow day at work has allowed me to respond to your first roundtable question. So, here it is! It's up :) Looking forward to the next one! 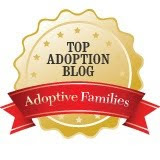 This first roundtable has ended, but you can see the collection of responses and add your link over at the Open Adoption Bloggers blog at Open Adoption Support.